So, last night in a fit of rage, I took out my contacts and flushed them down the toilet. We were going to sleep after a long day of laying around being counter productive so I figured waiting until the morning to put in a new pair wouldn’t be a big deal. This morning when I woke up to cook breakfast I went to get them out of my toiletries bag and HOLY MOLY…no extra pair to be found. It’s kind of amazing how blind I am without my contacts. I still made breakfast, but browning sausage, frying bacon, and putting together an improvised breakfast casserole is no easy feat when you’re operating with 20/800 vision. So after Mike watched a few episodes of Futurama and I listened, I decided that my vision situation needed to be remedied. I thought I might buy one of those cheap/tacky pairs of reading glasses from Target or Wal Mart, but shockingly enough they didn’t have what I need. Then we went to the mall to see if Sears had an optical center because that’s usually where I get my contacts. They didn’t. I called Lenscrafters to see if they could give me some of those sample contacts and THEY CAN’T without a valid prescription, and guess what? Mine’s expired. They treat contact lenses like narcotics. I don’t get it. So I’m sitting here, about an inch away from my laptop screen, trying my best to battle an oncoming migraine and figuring out how in the world I’m going to drive 3 hours home in the morning with the eyesight of a grandma. 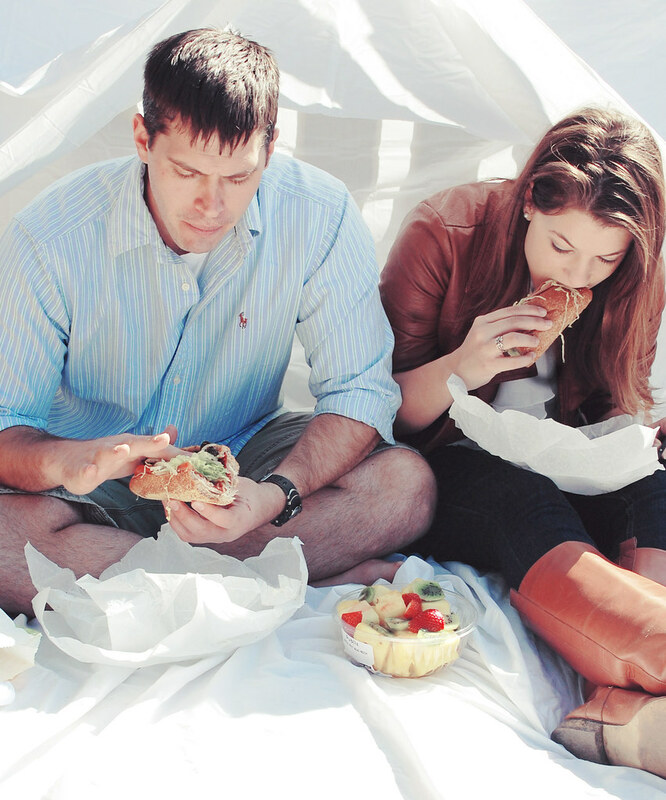 Publix subs are like…the best.